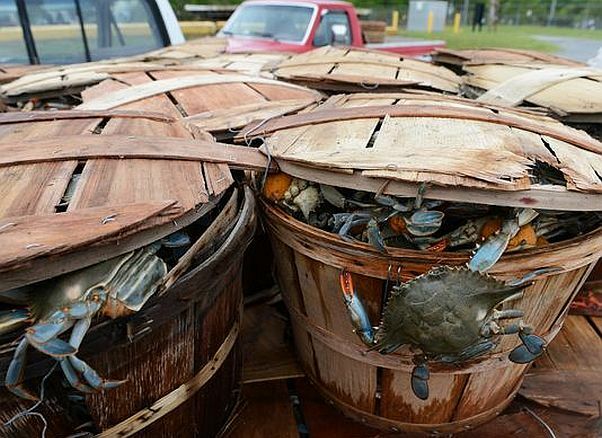 Crab lovers may have to wait a while to get your fill as the number of blue crabs in the Chesapeake Bay fell again this year for the second year in a row. 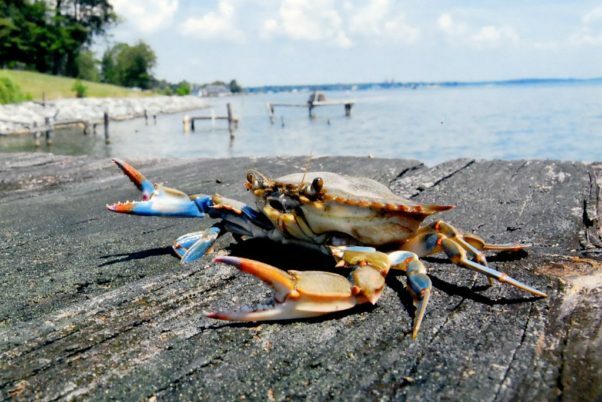 However, a survey released May 9 by the Maryland Department of Natural Resources (DNR) and the Virginia Institute of Marine Science (VIMS) found the bay’s blue crab population was healthy and sustainable. The blue crab population fell in the Chesapeake Bay this year to 371 million from 455 million last year. Blue crab season started Apr. 1 and runs through Dec. 15. Last winter’s cold weather and ice cover, especially in January and March, killed about 35 percent of adult female crabs wintering in state waters, the survey estimated. However, the number of young crabs returning to the bay this year increased 34 percent. Blue crabs spend the first part of their lives in the Atlantic Ocean before returning to the bay to grow and mature. That means crab lovers may have to wait until mid-summer when the young crabs grow large enough to keep. Whether anyone will be around to process them is another matter. The Trump administration enacted a first-ever lottery system for work visas, leading to a severe shortage of Mexican laborers at Eastern Shore crab houses. The 2018 Blue Crab Winter Dredge Survey estimates a bay-wide crab population of 371 million, a decrease from last year’s 455 million, driven largely by a decrease in the number of adult crabs. 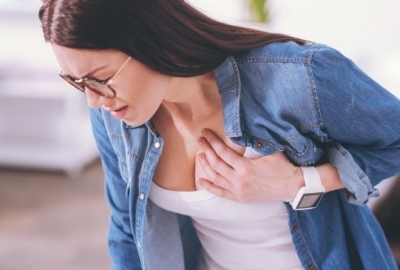 In 2018, spawning female stock dropped 42 percent from 254 million to 147 million, falling below the target level of 215 million, but remaining well above safe levels. This year’s adult female abundance remains among the 10 highest of the nearly three decade old survey. Adult male crabs fell 23 percent from 76 million to 59 million. The juvenile crab population, however, grew 34 percent over last year, reaching 167 million. On the bay, watermen are witnessing the decrease in crabs first hand. Jeff Harrison, who is with the Talbot Waterman’s Association and was on the bay this week, said the crabbing wasn’t that great and was off to a very slow start. The dredge survey backs up the watermen’s claims and said the decline in the number of adult crabs will mean a slow start to the early harvest season, but the DNR expects the arrival of young crabs in the coming months, leading to an abundance by mid-summer leading to an improved late season. The 2017 bay-wide crab harvest fell from 60 million to 54 million pounds, but continued to operate at sustainable levels, especially from female crabs, DNR said. The annual winter dredge survey, conducted by DNR and VIMS since 1990, is the primary assessment of the Chesapeake Bay’s blue crab population. In the survey, biologists use dredge equipment to capture, measure, record and release blue crabs at 1,500 sites throughout the bay from December through March. Crabs tend to bury in the mud over the cold winter months, which makes it possible for scientists to develop accurate estimates of the number of crabs. 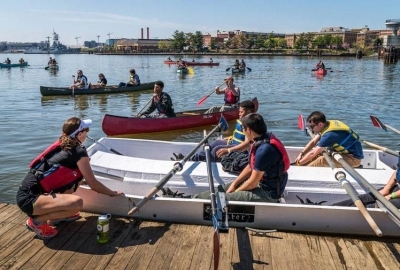 “This year’s results give us optimism that our management approach is effective at conserving adequate numbers of crabs even when the number of juveniles is low and winter mortality is high,” Maryland Fishing and Boating Services Director David Blazer said.